I love debuts. 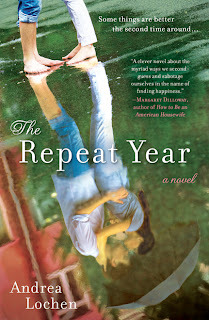 So I'm happy to host Andrea Lochen today and her novel, The Repeat Year. 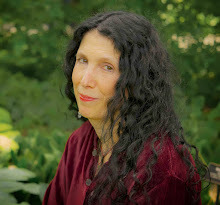 Andrea Lochen earned her Master of Fine Arts in Creative Writing from the University of Michigan. While there, she won a Hopwood Novel Award for a draft of The Repeat Year. 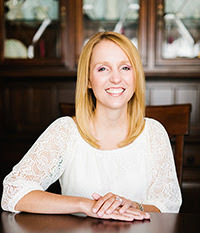 She currently lives in suburban Milwaukee with her husband and teaches Creative Writing at the University of Wisconsin-Waukesha. 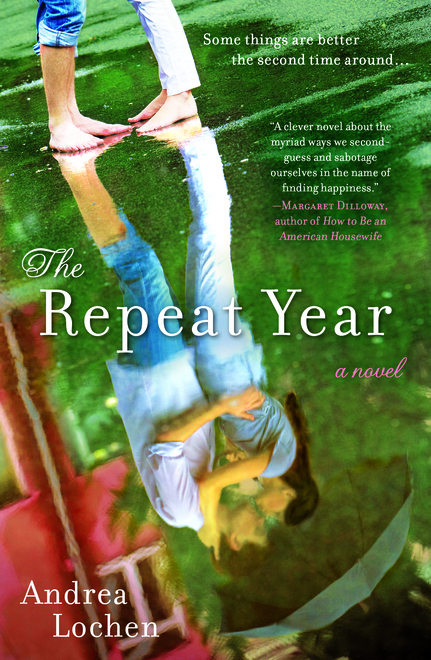 The Repeat Year is her first novel. Thank you so much for being here, Andrea. I wrote a draft of The Repeat Year when I was an MFA student at the University of Michigan, a time in my life when every decision I made seemed long-reaching, momentous, and capable of permanently altering the course of my life: education, marriage, a career, where to live, etc. In that mindset, I wrote the character of Olive, a young woman who wakes up on New Year’s Day to discover she is reliving the previous year, a year in which she made terrible mistakes and now has the opportunity to rewrite. Because I think the question of “what might have been” is compelling to people at all stages in their life, I also created the character of Sherry Witan, a middle-aged woman who has accumulated even more regrets than Olive, to be a kind of mentor for her. I’ve always been fascinated by the ideas of fate, freewill, and chance, and how people make sense of their lives based on which concept or combination of concepts they believe in. It was a lot of fun to put Olive, a person who firmly believes in the power of her own freewill, in a situation where she feels like fate and the universe are conspiring against her, and see what would happen. What kind of writer are you? Do you outline or just "follow your pen?" What's your writing life like? 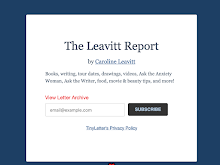 I’m a somewhat manic writer—euphoric when things are going well, despairing when I hit the slightest obstacle. Because I teach college writing nine months out of the year, I have to be very industrious when I do have time off to write, so I throw myself into it and hardly come up for air for weeks at a time. Though I don’t outline, I do jot down character notes and key plot points, and I always have the shape of the novel (the beginning, climax, and ending) in mind. I usually allow the characters to tell me how I’m going to get there! This was my first novel, so I was completely unprepared for how much the book would transform over the course of my writing it—the first draft is so very different from the finished book! Like most young writers, I had no conception of how much time, energy, and revision actually go into the novel-writing process. It gives me renewed admiration and respect for all my favorite authors knowing that they didn’t sit down and churn out gold overnight, but that they had to really labor over their craft. What strange, wonderful creatures writers are! Lately I’ve been obsessed with the gender-biased ways books are marketed. Maureen Johnson wrote a great article called “The Gender Coverup” in The Huffington Post that talks about how women’s books tend to get a fluffier treatment and therefore are taken less seriously, and it really struck a chord with me. Since then, I’ve become more and more aware of how men’s and women’s novels are marketed differently—everything from the cover design to the blurbs to even the way we talk about books—and it really bothers me, but unfortunately I can’t say that I have a solution. I think awareness that a problem exists is a good start though. Perhaps, “What’s next for you?” After the whirlwind of my book launch and my end of the semester grading, I am really looking forward to two things: 1) doing some serious summer reading (on my list are Amy Sue Nathan’s The Glass Wives, Marci Nault’s The Lake House, Kristiana Kahakauwila’s This is Paradise, Ben Stroud’s Byzantium, and of course, your new one Is This Tomorrow) and 2) revising my new book. Like The Repeat Year, my second novel also has a magical premise. It’s about a young single mother who discovers one summer she can see her four-year-old son’s imaginary friends, and it’s been such a pleasure to write!